French Green Clay Soap is great for detoxifying the skin by drawing out impurities and has healing benefits as well. This therapeutic melt and pour soap recipe is quick and easy to make, requires no lye, and is perfect for beginner soap makers to get great results, as well as those of us who make soap projects regularly. Melt and pour soaps only take about ten minutes of hands on time to make. French Green clay also known as sea clay or Illite used in bath products helps draw out harmful toxins from the skin. It also helps pull blood to the the skin surface improving circulation and healing of the skin. It is a suggested clay to ease the symptoms of eczema. The clay actually contains Bentonite clay as well as various other beneficial minerals from the decomposed plant materials of the ancient sea beds it is gathered from. The deeper green French green clay is the more rich in these nutrients it is. While using this in a clay facial mask or bath soak will impart stronger benefits, French Green Clay Soap is convenient for regular use right in the shower. See my Bentonite Clay Soap recipe for a similar soap making project option. It just takes an extra step to successfully blend sea clay, as well as other clays into hot process soap. Imparting the benefits of sea clay in your soap recipes is well worth the small effort. 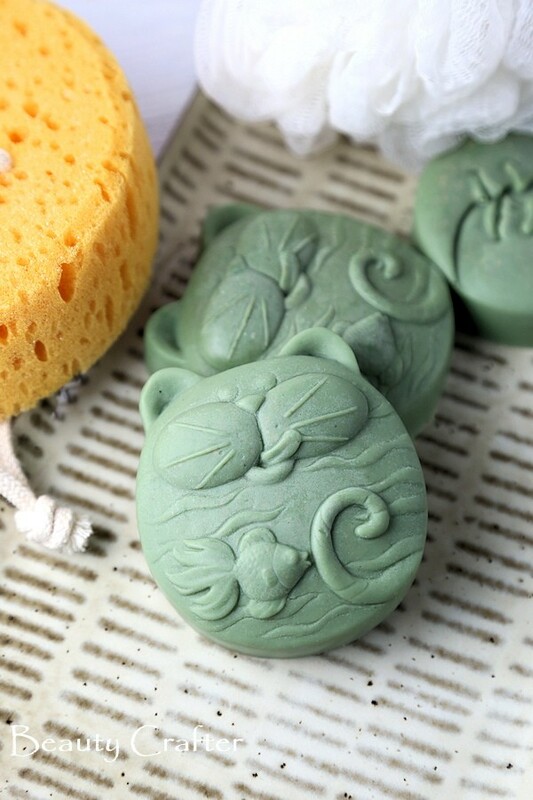 By creating a slurry paste of the clay with vegetable glycerin or a small amount of the melted soap base you will be able to evenly blend it into the soap mixture. I prefer to use glycerin myself, and in the case of this recipe rose hip oil was added to the clay paste as well before incorporating into the French Green clay soap. 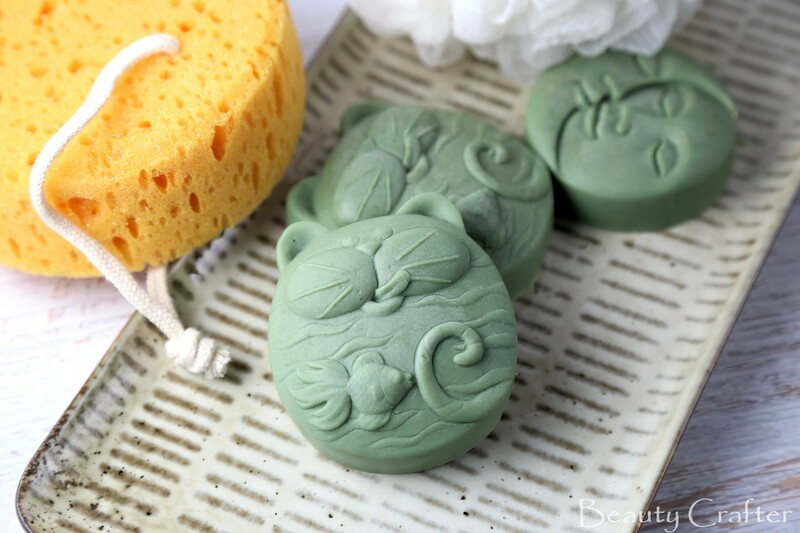 Therapeutic French Green soap recipe that is easy to make. A detoxifying and healing soap, great for eczema or skin abrasions. Mix together the French green clay, pigment, glycerin and rose hip oil until it is a smooth paste. Chop the soap into chunks and melt in microwave. Once soap is fully melted stir in the clay paste until smooth and evenly distributed. Place molds on a tray or board. Add the essential oil just before pouring and gently stir in, them fill each mold with the melted clay soap. Allow to cool until firm, then turn over and pop soaps out of molds. Leave to fully harden, will take at least an hour. **you can swap in different complimentary essential oils. Lavender or lemongrass would be nice choices.